Our first Instructor & Technical Course of 2019 took place on 13th & 14th April at Master Gerry Martins dojang, Beaumont Taekwon-do Centre. 100 members from 25 INTA School took part in two days intensive and detailed instruction from the INTA technical committee. Grandmaster O’Toole gave a detailed explanation about the theory of power & how to apply these principles in practice. Master Donnelly then took the group though the morning warm up session working through our full range of movement and detailed co-ordination exercises ensuring that both the body and the brain were ready for the day ahead. Then Mr Gareth Curran presented the INTA Instructors course with 1st to 4th degree members in a separate group. Grandmaster O’Toole led the group through Sajo jirugi up to Yul Gok before lunch, practicing fundamental movements for each pattern, for every member to understand the application of each technique. After lunch Master Franks took the group through their warm up and had everyone ready to continue practice throughout the day. 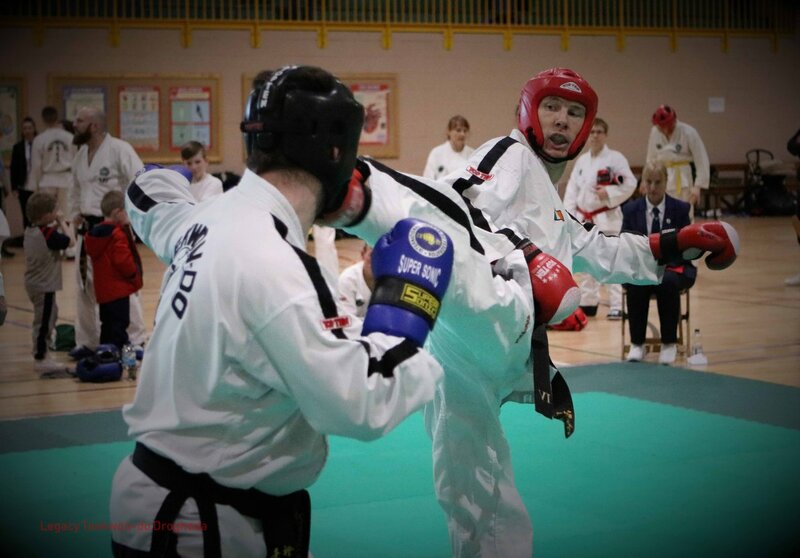 Just under 600 competitors partook in the 20th INTA Open on 9 & 10 March, participating in the longest running Open ITF Taekwon-Do Tournament in Europe. We were delighted to have competitors, officials, and guests from Norway, Belgium, Scotland, Wales, Northern Ireland, and Ireland.